Welcome to the AIRSTREAM, INC. website. This website is referred to as the “Website” below. If you do not agree to these Terms of Service, you should leave this Site immediately. Any questions or comments regarding, or problems with, this Site should be sent to the Site Administrator at [email protected]. This Website is not intended to be a means of submitting warranty claims or requests for repair. Claims or requests for repair should be sent should be sent to your local dealer. The depictions of recreational vehicles on this Website are for general information purposes only as to the recreational vehicles manufactured by Airstream, Inc. during the current model year. Since we continually strive to improve our products, actual products may differ and prices and specifications are subject to change without notice. Product information, specifications, and photography in this Website may contain some features that are optional on your recreational vehicle. All capacities are approximate and dimensions are nominal. Some features or options may be different or unavailable in Canada or other international markets. Recreational vehicle availability may be limited. This Website is not an offer to buy or sell recreational vehicles. Unless otherwise stated, any recreational vehicle pricing information displayed is in U.S. dollars and pertains only to recreational vehicles which may be offered for sale in the U.S. The pricing information typically reflects MSRP and may change without notice and may vary from region to region and dealer to dealer. Pricing information does not reflect additional options unless expressly stated. Pricing information does not reflect other applicable charges, fees and taxes. Please contact your dealer for the actual price of any recreational vehicle you wish to purchase. Additional terms and conditions may apply. There are a number of options for the recreation vehicle owner. Along with these choices comes the responsibility to manage the loads that are imposed by the choices so that they remain within the manufacturer’s specified chassis weight limits. Do not overload the recreational vehicle. Dry weights are based on standard features; optional equipment not included. Net carrying capacity (NCC) is determined by subtracting unloaded vehicle weight (UVW) from gross vehicle weight (GVWR) and does not include fluids, options, and cargo. Warning: Any information provided on this Website is intended as a guide only. Weights of individual vehicles may vary. Consult your owner’s manual for complete loading, weighing, and towing instructions. Products for sale in the Website’s Online Store may be subject to additional terms and conditions. AIRSTREAM, INC. attempts to be as accurate possible when describing a product. AIRSTREAM, INC., however, does not warrant that product descriptions or any other Website content are accurate, complete, reliable, current, or error-free. If a product offered by AIRSTREAM, INC. is not as described, your sole remedy is to return it in unused condition. 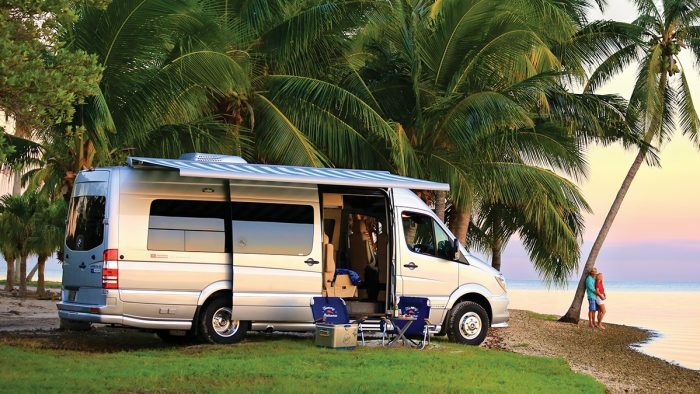 Please note that AIRSTREAM, INC. does not offer recreational vehicles for sale on this Website or in its Online Store and this paragraph does not apply to recreational vehicles. All content on this website is owned by AIRSTREAM, INC., its affiliated companies, or by third parties who have licensed the content to AIRSTREAM, INC. and is subject to all applicable United States and international copyright laws and treaties. Subject to your acceptance of and compliance with these Terms of Service, AIRSTREAM, INC. grants to you a non-exclusive, nontransferable, revocable and limited license to access, use and display this Website and the content thereon for personal, non-commercial use only. No portion of this Website may otherwise be reproduced, modified or reposted to other websites without the written consent of AIRSTREAM, INC. The AIRSTREAM name, the configuration and appearance of the AIRSTREAM® recreational vehicles, product brand names (including BAMBI®, LAND YACHT®, SAFARI® and others) and all other trademarks and logos appearing on this Website are owned or used pursuant to license by AIRSTREAM, INC. and/or its affiliates. The unauthorized use of these trademarks and logos is strictly prohibited, and you agree that you will not use these trademarks or logos in any way that suggests affiliation with, sponsorship by, or approval by AIRSTREAM, INC. without its express, written permission. If you have questions regarding AIRSTREAM trademarks, or for licensing information, contact AIRSTREAM, INC.’s Office of Sales and Marketing. Individual documents made available on this website may be subject to different copyrights, trademarks and/or licenses. If you believe that any material contained in this Website infringes your copyright, please immediately notify AIRSTREAM, INC. in writing. Please send your written notice to AIRSTREAM, INC.’s designated agent for receiving such notice: Legal Department, Thor Industries, Inc., 601 East Beardsley Avenue, Elkhart, IN 46514. Your notice should include an identification of the material you claim to be infringing; information reasonably sufficient to allow AIRSTREAM, INC. to locate the material; an identification of the copyrighted work you contend has been infringed upon (or a representative list if there are multiple works); sufficient information to allow AIRSTEAM, INC. to contact you (including your name, address, telephone number and email address); a statement indicating that you possess a good faith belief that the use of the material in the manner complained about is not authorized by the law or you; and your physical or electronic signature. If someone submits the notice on your behalf, the notice must contain a statement, given under penalty of perjury, that the submitter is authorized to act on your behalf. You may only use this Website for legitimate and lawful purposes. You are welcome to post, transmit or submit messages and other content to areas of the Website which invite content submissions, provided that your use and submissions do not violate these Terms of Service. By using this Website, you agree that: (a) you will use the Website only for lawful and legitimate purposes and you will not post, transmit, link to, or otherwise distribute any information that constitutes or encourages conduct that would be a criminal offense, which would give rise to civil liability or which would otherwise be contrary to law; (b) you will not use the Website in any way which would act to restrict or inhibit any other user from using or enjoying the Website; (c) you will not post, transmit, link to or otherwise distribute any content or make any comment which is unlawful, threatening, harassing, obscene, vulgar, pornographic, profane, indecent or which otherwise violates the rights of others (including any right to privacy or publicity); (d) you will not make any speculation or false or fraudulent representations; (e) you will not violate or infringe upon the property rights (including trademark, trade secret, and copyright) of any other person; (f) you will not post, transmit, link to, or otherwise distribute any information or software which contains any harmful, malicious or disruptive component (including, but not limited to, any virus, Trojan horse, cancelbot, or worm); (g) you will not upload, post, publish, transmit, link to, or otherwise reproduce any content or materials obtained via the Website (or any derivative work thereof) which is protected by copyright or any other intellectual property right without first obtaining written permission from the right holder; (h) you will not impersonate or false represent association with another user; and (i) you will not reproduce, sell, resell or otherwise exploit the Website for any commercial purpose. By submitting any content, you represent that you are the rightful owner of such material or that you have first obtained permission to submit the material from the rightful owner. By submitting any information or content to or through the Website, you automatically grant AIRSTREAM, INC. an irrevocable, perpetual, fully paid, worldwide exclusive license to use, copy, perform, display, distribute, transmit, publicly perform, or delete the information or content as AIRSTREAM, INC. and its parent and affiliated companies see fit. You also agree, to the extent permitted by United States and Ohio law, that any unsolicited inquiries, ideas, inventions, or information submitted to AIRSTREAM, INC. via this Website or other means shall be deemed to be the property of AIRSTREAM, INC. AIRSTREAM, INC. does not undertake to refrain from any particular use of submissions or to compensate any person for the use of submissions, and advises those who would submit any idea, plan, prototype, text, illustration or other material for the purpose of receiving credit or compensation to submit such material only through channels authorized by AIRSTREAM, INC.
AIRSTREAM, INC. makes no warranties, express or implied, as to the content of any user-submitted content or the accuracy and reliability of any such content. You agree to release AIRSTREAM, INC., its parents and affiliates together with their respective employees, agents, officers, directors and shareholders, from any and all liability and obligations whatsoever in connection with or arising from your use of any user-submitted content. AIRSTREAM, INC. does not assume any responsibility for content submitted by users of this Website, and AIRSTREAM, INC. does not endorse any content submitted by users of this Website. Content posted by users of this Website does not reflect the opinions or policies of AIRSTREAM, INC. Nonetheless, AIRSTREAM INC. reserves the right to prevent you from submitting content and to edit, restrict or remove such content for any reason at any time. AIRSTREAM, INC. is under no duty to preserve, maintain, or to continue to display any user-submitted content and may terminate or suspend any Website service at any time without notice. You agree that AIRSTREAM, INC. accepts no liability whatsoever if it determines to prevent your content from being submitted or if it edits, restricts or removes your content. AIRSTREAM, INC. assumes no responsibility for actively monitoring for inappropriate content. If at any time AIRSTREAM, INC. chooses, in its sole discretion, to monitor user-submitted content, AIRSTREAM, INC. nonetheless assumes no responsibility for the content, no obligation to modify or remove any inappropriate content, and no responsibility for the conduct of the user submitting any content. That said, if you believe any content on this Website infringes upon a copyright owned by you, please follow the procedure outlined in the “Reporting Copyright Infringement” section above. If you submit messages, you agree to strictly limit yourself to discussions about the subject matter for which they are intended. AIRSTREAM, INC. may provide, via the website, the ability for users to send messages to one another. Should AIRSTREAM, INC. provide such a service, AIRSTREAM, INC. does not warrant or guarantee the security and privacy of any material submitted by you or to you in such messages. 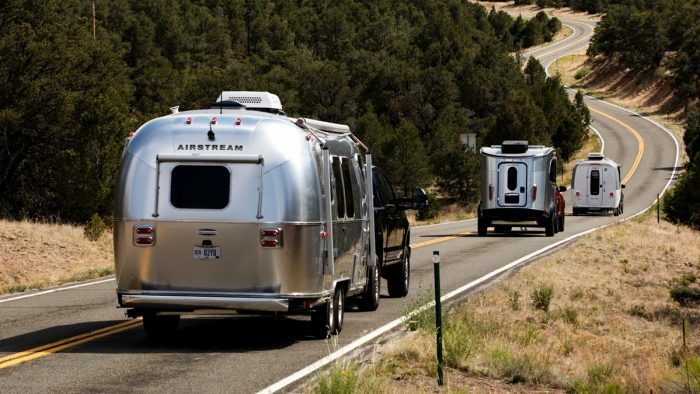 This Website may contain services or features which allow you to register your personal information and information about AIRSTREAM products you own, including the name you have chosen for your AIRSTREAM recreational vehicle as part of the OFFICIAL AIRSTREAM REGISTRY. You may also be permitted to post content, including photos and other media, about your AIRSTREAM recreational vehicle. Should you choose to register for such services or features, AIRSTREAM, INC. may require you to agree to additional terms and conditions before registering. This Website may contain links to websites of third parties. Any such link is provided solely for the convenience of you as a user and is not intended to suggest an affiliation, between AIRSTREAM, INC. and the third party or an endorsement or sponsorship of the third party by AIRSTREAM, INC. The content and terms of service of any third party websites is the sole responsibility of the third party. AIRSTREAM, INC. does not certify, endorse or otherwise check the accuracy of third party websites. By clicking on a link to a third party website, you agree that AIRSTREAM, INC. and its affiliates have no responsibility or control for any material contained on any third party website. AIRSTREAM, INC. has no responsibility for any third party advertisements appearing on the Website, nor is AIRSTREAM, INC. responsible for any goods or services promoted or sold by such advertisers. By using this Website, you agree to defend, indemnify and hold harmless AIRSTREAM, INC., its parents and its affiliates together with their respective employees, agents, directors, officers and shareholders, from and against all liabilities, claims, damages and expenses (including reasonable attorney’s fees and costs) arising out of your use of this Website; your failure to use this Website; your use of the OFFICIAL AIRSTREAM REGISTRY; your breach or alleged breach of these Terms of Service; and/or your breach or alleged breach of the copyright, trademark, intellectual property proprietary or other rights of third parties. AIRSTREAM, INC. reserves the right to assume the exclusive defense and control of any matter subject to indemnification by you. In such case, you will agree to cooperate in AIRSTREAM, INC.’s defense of the claim. This Website is for informational purposes only. While AIRSTREAM INC. attempts to provide an error-free user experience, this Website may contain technical or typographical errors which impair the performance of the Website. The Website may also be unavailable from time to time. You agree that you use this Site and rely on material contained in this Site at your own risk. THIS WEBSITE, THE OFFICIAL AIRSTREAM REGISTRY, AND ALL MATERIALS ON THIS WEBSITE, ARE PROVIDED ON AN “AS IS” BASIS. AIRSTREAM, INC., ITS PARENT COMPANIES AND AFFILIATES DISCLAIM, TO THE FULLEST EXTENT PERMITTED BY LAW, ALL WARRANTIES, EXPRESS OR IMPLIED, IN CONNECTION WITH THIS WEBSITE OR YOUR USE OF THIS WEBSITE. THIS MEANS, WITHOUT LIMITATION, THAT AIRSTREAM, INC. DOES NOT WARRANT: (a) THAT THIS WEBSITE IS FIT FOR ANY PARTICULAR PURPOSE; (b) THAT THIS WEBSITE WILL FUNCTION WITHOUT ERROR; (c) THAT SERVICE WILL BE UNINTERRUPTED; (d) THAT DEFECTS WILL BE CORRECTED; (e) THAT THIS WEBSITE IS ERROR FREE; (f) OR THAT THIS WEBSITE IS FREE FROM VIRUSES AND OTHER HARMFUL COMPONENTS. YOU ACKNOWLEDGE AIRSTREAM, INC., ITS PARENT COMPANIES AND AFFILIATES,together with their respective employees, agents, directors, officers and shareholders ASSUME NO LIABILITY OR RESPONSIBILITY FOR: (a) CONTENT POSTED BY USERS OR OTHER THIRD PARTIES; (b) PERSONAL INJURY OR PROPERTY DAMAGE RESULTING FROM YOUR USE OF AND ACCESS TO THE WEBSITE; (c) ANY UNAUTHORIZED ACCESS TO OR USE OF AIRSTREAM’S SERVERS OR PERSONAL INFORMATION STORED THEREON; (d) ERRORS OR INACCURACIES IN CONTENT; (e) ANY VIRUSES, WORMS, MALWARE OR OTHER MALICIOUS CODE WHICH MAY BE TRANSMITTED TO OR THROUGH THE WEBSITE BY ANY THIRD PARTY; (f) for the theft, destruction, damage or unauthorized access to your computer system or network; OR (G) for any defamatory, offensive or illegal conduct or material found in connection with this WEBSite, including such conduct or material transmitted by any means by any other person. AIRSTREAM, INC., ITS PARENT COMPANIES AND AFFILIATES MAKE NO REPRESENTATIONS OR WARRANTIES WITH RESPECT TO ANY CONTENT LINKED TO THIS WEBSITE. AIRSTREAM, INC. DOES NOT WARRANT, SPONSOR, ENDORSE, CERTIFY OR GUARANTEE ANY GOODS OR SERVICES ADVERTISED BY ANY THIRD PARTY THROUGH THIS WEBSITE, THROUGH ANY LINK FROM OR TO THIS WEBSITE, OR APPEARING IN ANY OTHER FORM ASSOCIATED WITH THIS WEBSITE (SUCH AS A BANNER AD). You acknowledge that AIRSTREAM INC., ITS PARENTS AND AFFILIATES, together with their respective employees, agents, directors, officers and shareholders ARE not liable, TO THE FULLEST EXTENT OF THE LAW, for any damages, including, without limitation, direct, incidental, special, consequential or punitive damages, in connection with or arising from your use or from your inability to use THIS WEBSITE. Reference herein to any specific commercial products, process, or service by trade name, trademark, manufacturer, or otherwise, does not necessarily constitute or imply its endorsement, recommendation, or favoring by AIRSTREAM, INC. 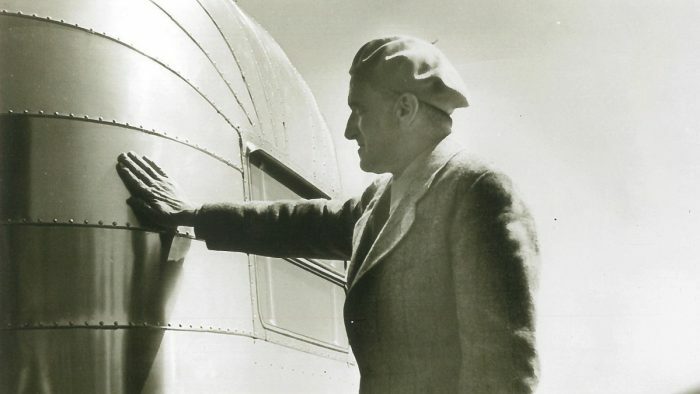 The views and opinions of authors expressed herein do not necessarily state or reflect those of AIRSTREAM, INC., and shall not be used for advertising or product endorsement purposes. Airstream, Inc. maintains this website in the State of Ohio in the United States of America, and this Website is intended for viewing within the United States only. These Terms of Service are governed by and are to be construed in accordance with the laws of the State of Ohio regardless of the principles of conflicts of laws which may require the application of the laws of another jurisdiction. Airstream, INC. does not represent or warrant that this Website complies with the laws of any other jurisdiction. If you access this Website from outside of the United States, you remain responsible for compliance with any applicable laws. Any legal actions arising from or relating to these Terms of Service must be brought in the State Courts of Shelby County, Ohio or the Federal District Court with jurisdiction over Shelby County, Ohio. The use of this website may be monitored for security purposes. Any unauthorized access to this Website, any attempt to damage or interfere with the operations of this Website, or any attempt to undermine AIRSTREAM, INC.’s legitimate business purposes is prohibited and is subject to criminal and civil penalties under the Federal Laws of The United States. Copyright © 2016 AIRSTREAM, INC. All Rights Reserved. These Terms of Service (“Terms”) create a contract between you and Airstream, Inc. (“Airstream”, “we”, or “us”). Please read these Terms carefully. 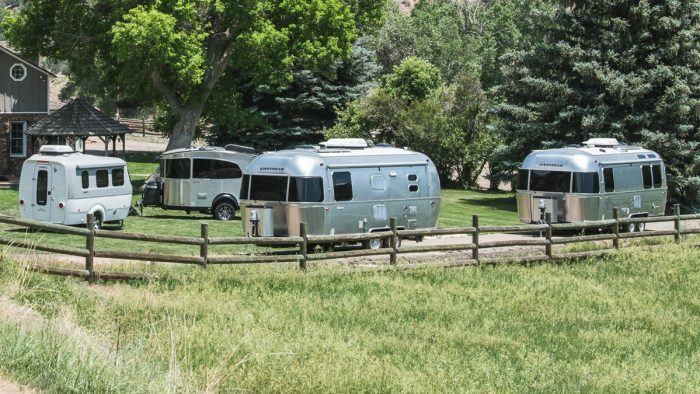 These Terms apply to certain Services Airstream offers or provides for use in connection with Airstream® Connected RV and Airstream Smart RV Products (the “Products” or “RVs”). For these purposes, the “Services” are: “Mobile Apps” (software which may be downloaded onto your smart phone or tablet (“Devices”) for use in connection with the Product(s)); “Product Software” (Airstream software embedded in the Product(s)); “Smart RV Services” (advanced monitoring, control, and other services we offer specifically in connection with Airstream Smart RV Product features); and “Connectivity Services” (data transmission, hotspot, and other connectivity services associated with your RV). You accept and agree to be bound by these Terms by downloading, using, or accessing the Services or by otherwise giving consent when requested. Airstream may change these Terms in its discretion at any time. Notification of changes to these Terms will be given by publishing a revised version of these Terms on www.Airstream.com/Legal-Notice. Your continued use of the Services after any modification(s) will be deemed your acceptance of the Terms as modified. If you do not agree to these Terms or these Terms as modified, you must not use the Services and you must delete any Mobile Apps intended for use with the Products or Services from your Device. Your access and use of the Services is also subject applicable Service Provider terms. A “Service Provider” is a third party which facilitates delivery of the Services. Service Providers may include: wireless carriers, software and technology providers, content suppliers, licensors, App Stores providing Mobile Apps, distributors, and dealers. In order to access certain Services, you may be notified that it is necessary to download software or other materials or agree to additional terms and conditions. Unless otherwise provided by those additional terms and conditions, they are hereby incorporated into these Terms. Your Access and Use of the Services. Certain Services and Product features require a registered Account, a Mobile App intended for use with your RV running on a supported Device, and working Internet access. 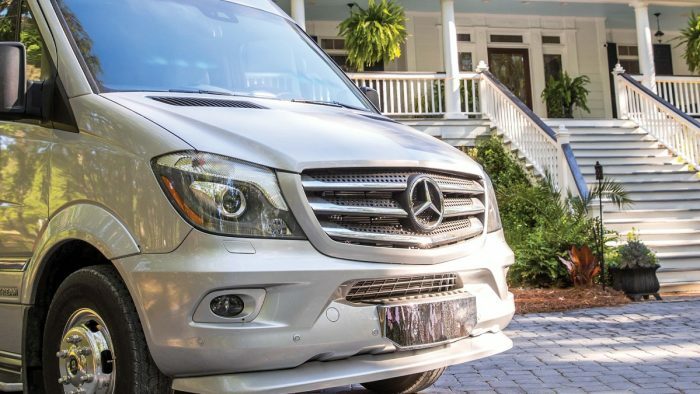 Smart RV Services further require a paid Subscription. Account. In order to access and use the Services, you must create and maintain a registered account with Airstream (“Account”) associated with your RV. 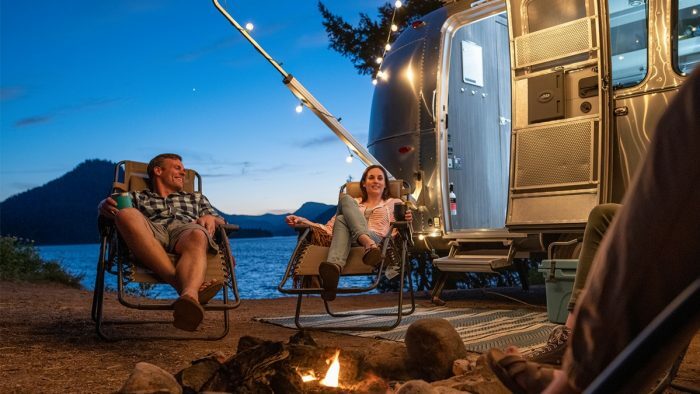 Accounts are available only to adult residents of the United States who own an Airstream Connected RV or Smart RV who accept these Terms. You must register for an Account via the Mobile App associated with your Product and provide certain information about yourself as prompted by the applicable registration form. You represent and warrant that: (a) all of the information you provide in connection with your registration is true and accurate; (b) you will maintain the accuracy of such information; and (c) your use of the Services and Products will not violate any applicable law or regulation. Airstream, in its sole discretion and without notice, may terminate, restrict, or modify your Account at any time. Mobile App. Airstream will provide a Mobile App for use with supported iOS and Android Devices for use in connection with the Services and registering and maintaining your Account. Airstream will make the Mobile App available on the Apple App Store, the Google Play App Store, and through other channels as it may deem appropriate (each an “App Store”). Your Device must meet the minimum device requirements provided in the Product Owner’s Manual and displayed in connection with Product the Mobile App in your App Store. Pairing. Access, use, and control of certain Services and Product features further requires you to pair your supported Device with your RV’s embedded modem. You may pair or unpair your Device at any time by using the Mobile App when logged in to your Account. You may contact Airstream Customer Service for assistance. Although you may pair more than one Device with the RV, all Devices may only be associated with one Account as only one Account may be associated with your RV at any time. Note: you will not be able to use certain Services and Product features (including Smart RV Services) if your Device is not paired. Vehicle Disposal Events. In the event you no longer possess or own your RV, as a result of sale, loss, theft, or otherwise (a “Vehicle Disposal Event”), you must unpair your Device from the RV, request Airstream Customer Service to remove the RV from your Account, and cancel any Subscription associated with your RV and/or Account. You will continue to be responsible for unauthorized Account access or activities and/or Subscription Fees if you fail to unpair your Device, notify Airstream Customer Service, and/or cancel your Subscription upon a Vehicle Disposal Event. You also agree to notify the subsequent owner of the RV of these Terms. Account Details. You must keep your Account details secure and must not share them with anyone else. Airstream is not liable for any loss or damage arising from your failure to comply with these requirements. The Services enable use, monitoring, and control of your RV, and failure to protect your user name, password, and other credentials may be able to monitor your RV (including, if offered as part of the Services, audio and video inside and outside of the RV, control various systems, and/or gain access. Airstream will not ask you for your password. You must notify Airstream immediately in the event you determine or suspect unauthorized account access or other breach of security has occurred. You may be liable to Airstream in the event unauthorized use of your Account or passwords results from your failure to comply with these obligations, and Airstream will not be liable for any loss or damage resulting from your failure to comply with these obligations. Third Party Fees. With the exception of the Basic Connectivity (see below), you are responsible for any access or data fees incurred from third parties (such as your Internet provider or mobile carrier) in connection with your use of the Services. Limitations on Services. The Services are available only in certain Airstream Connected RV and Smart RV Products. Smart RV Services are exclusive to Smart RV Products. Not all Services and features are available in all markets, in all vehicles, or at all times. The Services are intended for access and use in the United States. Access and use of the Services outside of the United States may be restricted and may not be legal by certain persons or in certain countries. If you access or use the Services from outside the United States, you are responsible for compliance with local laws. The Services require electricity, an Internet connection, and adequate mobile wireless reception in order to function. Coverage is limited to your cell phone coverage and/or reception, GPS connectivity, and the availability of data and other networks. Airstream is not responsible for any interruption of Services inconsistent with these Terms, outside of the area of your cellular coverage (if you have a Personal Hotspot enabled), or otherwise caused by factors outside of its control. Emergency Services. The Services are not intended to be used, and should not be relied upon, to contact emergency services. Always use other means to contact local authorities or emergency services operators in the event of an emergency. Changes to Services; Updates. Airstream may, in its sole discretion and without notice, change, modify, restrict, discontinue, cancel, or terminate any of the Services. Changes may be made, for example, to develop and provide software updates, which may include upgrades, fix defects, improve security, and/or to add, modify, or remove features (collectively, including related documentation, “Updates”). You agree to allow Airstream and its Service Providers to remotely make software and firmware Updates without your further consent. To the extent Airstream is unable to automatically provide Updates, you agree to promptly download and install all Updates and acknowledge and agree that the Services or portions thereof may not properly operate should you fail to do so. All Updates are deemed part of the Services and are subject to these Terms. Personal Hotspot. You may, at your own cost, use your RV’s embedded modem and router to create a wireless Internet connection for your personal use (a “Personal Hotspot”) by connecting to an external wi-fi network (such as one provided by a campground) and/or by obtaining a 4G LTE cellular service plan. Access to an external wi-fi network will be limited to the range of the network and the terms of the network provider. Access via a personal cellular wireless plan will be subject to the provider’s terms and conditions. Airstream has identified AT&T as the preferred provider of wireless connectivity. Not all wireless networks or SIM cards may be compatible, and you are responsible for selecting a service which will be compatible with your RV’s equipment. 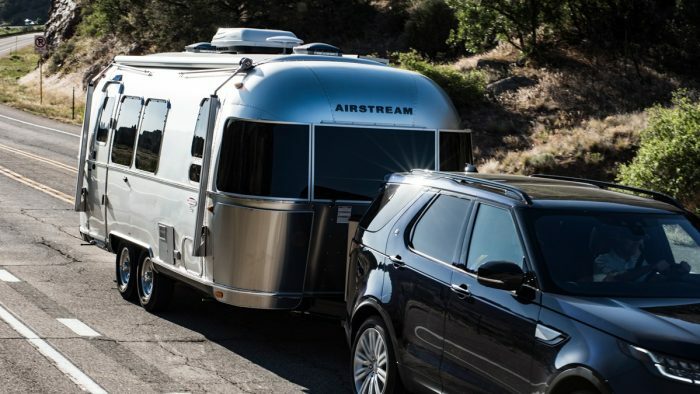 Note: Upon activating the Personal Hotspot, the Basic Connectivity will deactivate, and all data collected by or transmitted from Airstream in regards to the Services and your RV will travel over your Personal Hotspot connection. You are responsible for all data usage (related to the Services or otherwise), charges, fees, and other expenses associated with use of the Personal Hotspot. Equipment. The connectivity and communication systems embedded in your RV are installed by trained technicians. You should only have the system repaired or serviced by trained technicians approved by Airstream. Any attempt to modify, repair, add equipment to, or remove these systems may impair the Services, damage the system, and may void your warranty with respect to the system. Third Party Materials. The Services may display, include, or make available third-party content or provide links to third-party websites or services, including through third-party advertising (“Third Party Materials”). Third Party Materials and links thereto are provided solely as a convenience to you, and you access and use them entirely at your own risk and subject to such third parties’ terms and conditions. You acknowledge and agree that Airstream is not responsible for Third Party Materials. Airstream does not assume and will not have any liability or responsibility to you or any other person or entity for any Third Party Materials. AT&T Notice. AT&T Mobility II, LLC (on behalf of its affiliates) (“AT&T”) provides the Basic Connectivity under contract with Airstream. YOU UNDERSTAND AND AGREE, WITH RESPECT TO THE BASIC CONNECTIVITY, THAT YOU: (a) HAVE NO CONTRACTUAL RELATIONSHIP WITH AT&T: (B) ARE NOT A THIRD PARTY BENEFICIARY OF ANY AGREEMENT BETWEEN AIRSTREAM AND AT&T; (C) THAT AT&T HAS NO LIABILITY OF ANY KIND TO YOU, WHETHER FOR BREACH OF CONTRACT, WARRANTY, NEGLIGENCE, STRICT LIABILITY IN TORT OR OTHERWISE, (D) THAT DATA TRANSMISSIONS AND MESSAGES MAY BE DELAYED, DELETED OR NOT DELIVERED, AND 911 OR SIMILAR EMERGENCY CALLS MAY NOT BE COMPLETED, (E) AT&T CANNOT GUARANTEE THE SECURITY OF WIRELESS TRANSMISSIONS AND WILL NOT BE LIABLE FOR ANY LACK OF SECURITY RELATING TO THE USE OF THE SERVICES, AND (F) YOU HAVE NO OWNERSHIP OR OTHER RIGHT IN ANY WIRELESS NUMBER ASSOCIATED WITH THE BASIC CONNECTIVITY. Subscriptions for Smart RV Services. 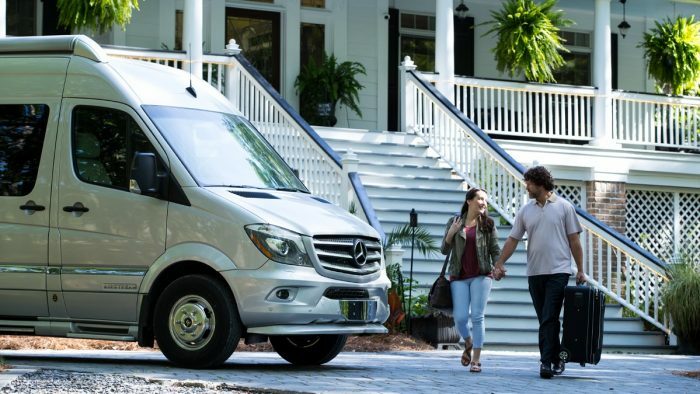 In order to use the Smart RV Services, you must be an Account Holder with an Account and Device paired with the RV and either be within the Trial Period or have a Subscription. Complimentary Trial Period. Airstream provides a complimentary one (1) year trial period in which it provides the Smart RV Services at no additional charge (the “Trial Period”). The Trial Period begins on the date of first retail sale of your RV. If you sell or otherwise transfer ownership of your RV during the Trial Period, the Trial Period will transfer with the RV and the new owner will be entitled to the remaining balance of the Trial Period. The Trial Period ends on the first anniversary of the first retail sale. The Trial Period may not be suspended, tolled, or extended without Airstream’s express written consent. The Trial Period is associated with your specific RV and may be transferred to subsequent owners. Use and access of the Smart RV Services will terminate at the end of the Trial Period unless the Account Holder purchases a paid Subscription. Subscriptions. Airstream offers its Smart RV Services to Account Holders subscription basis (“Subscriptions”) through “in app” purchases on your paired Device. Subscriptions purchased through Devices are administered by App Store from which you downloaded your Mobile App (each, a “Subscription Provider”). In addition to these Terms, Subscriptions are subject to the terms of the applicable Subscription Provider’s terms (Apple: https://www.apple.com/legal/internet-services/itunes/us/terms.html or Google: https://play.google.com/intl/en-us_us/about/play-terms.html) (each, the “App Store Terms”). Subscription Fees; Billing. Subscriptions are offered on a pre-paid, monthly basis. By starting your Subscription, you agree to pay the subscription fee and any applicable taxes and services fees (the “Subscription Fee”). Subscription will automatically renew each month, and your payment method will be automatically charged accordingly, until you cancel your Subscription in accordance with the App Store Terms. The App Store Terms may also require that you maintain a credit card or other payment method on file with the App Store. If you fail to notify the App Store as to a change to your payment method or if your payment is otherwise not capable of being processed, you will remain responsible for the payment, but your Subscription and your access to the Services may be suspended until payment is made. Pricing. The pricing and availability of Subscriptions and related Services is subject to change at any time prior to payment of your next billing cycle. You will be notified of pricing changes in accordance with the applicable App Store terms. Once notified, renewal of your Subscription will be deemed acceptance of a pricing change. If you do not agree to a pricing change, you must cancel your Subscription. All Sales Final. Except as expressly may be provided by the applicable App Store Terms, all Subscription sales are final. No refunds, replacements, or returns are permitted except as provided in “Cancellation or Termination by Airstream” below. Cancellation by You. You may cancel your Subscription at any time before the end of the applicable billing monthly period by using the method provided under the applicable App Store Terms. If you are unable to do so, you may contact Airstream Customer Service (See Section 14) for assistance. Your ability to use and access of the Smart RV Services will terminate at the end of the billing period in which you cancel. Payment for the current billing period will not be refunded. You will continue to have access and use of the Smart RV Services through the remainder of the current billing period. Cancellation or Termination by Airstream. We may cancel or terminate your Subscription and/or the Services at any time and in our sole discretion. If we cancel your Subscription or terminate the Services without cause, we will refund any unused amount of your prepaid Subscription Fee beginning on the effective date of cancellation or termination and prorated for the remainder of the applicable billing cycle. If we cancel your Subscription and/or terminate the Services for cause (including your breach of these Terms or your failure to make any payment when due), we will not refund any prepaid or unused portion of any Subscription fees, and we may refuse to permit you to reactive the Services. Vehicle Disposal Events. Unlike the Trial Period, which is associated with your RV, your Subscription is personal to you. You must cancel your Subscription when a Vehicle Disposal Event occurs (for example, you sell or dispose of your RV, or it is lost or stolen) or when you unpair your Account from your RV. If you fail to cancel your Subscription, your Subscription will remain in effect and your will remain responsible for all remaining payment obligations to the extent permitted by law. Reservation of Rights. The Services are licensed, not sold, to you. You acknowledge you do not own the Services, and you do not acquire any rights with respect to the Services unless expressly granted in accordance with these Terms. The Services, and all software, information, visual, audio, text, and works and content included therein and/or the RV and its systems (the “Content”) and all worldwide intellectual property rights therein (including copyrights, trademarks, patents, database rights, and trade secrets) (“Intellectual Property”) are owned by Airstream or its third party licensors. You do not acquire any ownership interest in the Services or Content under these Terms or any other rights thereto other than to use the Services and Content in accordance with the license granted, and subject to all terms, conditions, and restrictions, under these Terms. Airstream and its licensors and Service Providers reserve and shall retain their entire right, title, and interest in and to the Services and Content, including all Intellectual Property rights therein or relating thereto, except as expressly granted to you in these Terms. access, stream, download, and use on such Device(s) Content and other features included provided through or in connection with the Service. Limitations. You may not either directly or indirectly, with respect to the Services or Content: (a) make unauthorized copies; (b) modify, adapt, or otherwise create derivative works or improvements; (c) reverse engineer, decompile, disassemble, decode, or otherwise attempt to derive or gain access to the source code; (d) remove, alter, or obscure any trademarks or any copyright, trademark, patent, or other Intellectual Property rights notices; (e) rent, lease, lend, sell, sublicense, assign, distribute, publish, transfer, or otherwise make available the Services or Content, or any features or functionality of the Services or Content, to any third party for any reason, including by making the Services or Content available on a network where it is capable of being accessed by more than one device at any time; or remove, disable, circumvent, or otherwise create or implement any workaround to any copy protection, rights management, or security features in or protecting the Services or Content. Open Source Software. The Products and Services may contain or be used in connection with content or software subject to open source or free software licenses (“Open Source Software”). The Open Source Software is not subject to the terms and conditions of this Agreement. Instead, Open Source Software is subject to the terms of the end user license which accompanies such software. Nothing in this Agreement limits your rights under, or grants you rights which supersede, the terms and condition of any Open Source Software end user license which may apply. For a list of Open Source Software contained in or used in connection with providing you the Airstream products, apps, and services, see the Airstream Connected RV and Smart RV Open Source License Information page at www.Airstream.com/legal-notice. Activities. You are solely responsible for all activity occurring under your Account and for any use of the Services in your RV, even if you are not the one using it, and even if the use is unauthorized. You are also solely responsible for the Services requested by you, or by anyone using your RV in connection with the Services. Safe Operation. The Services are not intended to be used when driving or towing the RV. Do not use the Services while driving as such use may distract your attention from the road and may result in serious injury to you or others. Additionally, some functions of the Services may operate features of the RV which are intended for use only when in a stationary position (for example, the extension of awnings or operation of a leveling system) and may result in serious damage or injury if used while in motion. Instructions. You must read all manuals, instructions and safety information (“Instructions”) provided with your RV and the Services before using the Services. Failure to follow Instructions may lead to accidents, damage, or injury to you, others, or your RV. You also agree to provide the Instructions to each person who will use the Services prior to his or her first use. The Instructions were included with your RV at purchase. Additional copies may be obtained at www.Airstream.com or by contacting Airstream Customer Service. Legal Compliance. You agree to use the Services in compliance with all applicable laws, regulations, and ordinances. You agree you will not abuse or do anything to damage Airstream’s business operations, services, reputation, employees, or facilities. SOME DATA ABOUT YOUR CONNECTED RV (INCLUDING TELEMATICS, USAGE, AND LOCATION INFORMATION) MAY BE AUTOMATICALLY TRANSMITTED, COLLECTED, STORED, USED, DISCLOSED, AND SHARED BY AIRSTREAM VIA AN EMBEDDED BASIC CELLULAR CONNECTION AND/OR A PERSONAL HOTSPOT WHENEVER YOUR CONNECTED RV HAS POWER. THIS FUNCTIONALITY IS ON BY DEFAULT. THE TRANSMISSION AND COLLECTION OF THIS DATA MAY OCCUR WHETHER OR NOT YOU: ENABLE, USE, OR CANCEL THE CONNECTED RV SERVICES; CREATE OR CANCEL AN ACCOUNT; PAIR OR UNPAIR DEVICE; AND WHETHER OR NOT YOUR RV IS PARKED OR IN MOTION. The collection, use, storage, disclosure, and sharing of some or all of this data may be essential to the provision of the Services. If you do not want your personal information collected, used, disclosed, or shared under these Terms, you may notify Airstream Customer Service as indicated in the “Contact Us” Section below. Please be advised that opting out may result in the termination of the Services. Communications via the Services. By receiving, accessing, or using the Services, you consent, individually and on behalf of any others who use or occupy the RV to wireless communication being conducted in your RV to enable Airstream and its Service Providers to deliver the Services. You agree that we may contact you by email, through the Mobile App, or by telephone at any number we have on file for you, even if doing so may result in additional telecommunications fees or charges to you, to discuss your Account, offer unsolicited promotions, or to deliver Services. Term and Termination. These Terms are effective upon your downloading the Mobile App, creating an Account, and/or any access or use of the Services and continue for as long as you maintain an Account, use or access the Services, have a subscription, and/or retain a copy of the Mobile App on any Device, unless sooner terminated as provided herein. We may terminate these Terms, your subscription, your Account, and/or your access to the Services at any time, without notice. Upon termination: (i) all rights granted to you under these Terms will also terminate; and (ii) you must cease all use of the Mobile App and Services and delete all copies of the Mobile App from your mobile device(s). Termination will not limit any of Airstream’s rights or remedies at law or in equity. DISCLAIMERS. THE SERVICES ARE PROVIDED TO YOU “AS IS” AND WITH ALL FAULTS AND DEFECTS WITHOUT WARRANTY OF ANY KIND EXCEPT AS MAY BE PROVIDED BY THE LIMITED WARRANTY ACCOMPANYING YOUR RV. TO THE MAXIMUM EXTENT PERMITTED UNDER APPLICABLE LAW, AIRSTREAM, ON ITS OWN BEHALF AND ON BEHALF OF ITS AFFILIATES AND ITS AND THEIR RESPECTIVE LICENSORS AND SERVICE PROVIDERS, EXPRESSLY DISCLAIMS ALL WARRANTIES, WHETHER EXPRESS, IMPLIED, STATUTORY, OR OTHERWISE, WITH RESPECT TO THE SERVICES, INCLUDING ALL IMPLIED WARRANTIES OF MERCHANTABILITY, FITNESS FOR A PARTICULAR PURPOSE, TITLE, AND NON-INFRINGEMENT, AND WARRANTIES THAT MAY ARISE OUT OF COURSE OF DEALING, COURSE OF PERFORMANCE, USAGE, OR TRADE PRACTICE. WITHOUT LIMITATION TO THE FOREGOING, AIRSTREAM PROVIDES NO WARRANTY OR UNDERTAKING, AND MAKES NO REPRESENTATION OF ANY KIND THAT THE SERVICES WILL MEET YOUR REQUIREMENTS, ACHIEVE ANY INTENDED RESULTS, BE COMPATIBLE, OR WORK WITH ANY OTHER SOFTWARE, APPLICATIONS, SYSTEMS, OR SERVICES, OPERATE WITHOUT INTERRUPTION, MEET ANY PERFORMANCE OR RELIABILITY STANDARDS, OR BE ERROR-FREE, OR THAT ANY ERRORS OR DEFECTS CAN OR WILL BE CORRECTED. SOME JURISDICTIONS DO NOT ALLOW THE EXCLUSION OF OR LIMITATIONS ON IMPLIED WARRANTIES OR THE LIMITATIONS ON THE APPLICABLE STATUTORY RIGHTS OF A CONSUMER, SO SOME OR ALL OF THE ABOVE EXCLUSIONS AND LIMITATIONS MAY NOT APPLY TO YOU. LIMITATION OF LIABILITY AND TIME TO FILE CLAIMSTO THE FULLEST EXTENT PERMITTED BY APPLICABLE LAW, IN NO EVENT WILL AIRSTREAM OR ITS AFFILIATES, OR ANY OF ITS OR THEIR RESPECTIVE LICENSORS OR SERVICE PROVIDERS, HAVE ANY LIABILITY ARISING FROM OR RELATED TO YOUR USE OF OR INABILITY TO USE THE SERVICES OR THE CONTENT AND SERVICES FOR: (a) PERSONAL INJURY, PROPERTY DAMAGE, LOST PROFITS, COST OF SUBSTITUTE GOODS OR SERVICES, LOSS OF DATA, LOSS OF GOODWILL, BUSINESS INTERRUPTION, COMPUTER FAILURE OR MALFUNCTION, OR ANY OTHER CONSEQUENTIAL, INCIDENTAL, INDIRECT, EXEMPLARY, SPECIAL, OR PUNITIVE DAMAGES (b) DIRECT DAMAGES IN AMOUNTS THAT IN THE AGGREGATE EXCEED THE AMOUNT ACTUALLY PAID BY YOU FOR THE SERVICES. THE FOREGOING LIMITATIONS WILL APPLY WHETHER SUCH DAMAGES ARISE OUT OF BREACH OF CONTRACT, TORT (INCLUDING NEGLIGENCE), OR OTHERWISE AND REGARDLESS OF WHETHER SUCH DAMAGES WERE FORESEEABLE OR AIRSTREAM WAS ADVISED OF THE POSSIBILITY OF SUCH DAMAGES. SOME JURISDICTIONS DO NOT ALLOW CERTAIN LIMITATIONS OF LIABILITY SO SOME OR ALL OF THE ABOVE LIMITATIONS OF LIABILITY MAY NOT APPLY TO YOU. ANY CAUSE OF ACTION OR CLAIM YOU MAY HAVE ARISING OUT OF OR RELATING TO THESE TERMS OR THE SERVICES MUST BE COMMENCED WITHIN ONE (1) YEAR AFTER THE CAUSE OF ACTION ACCRUES OTHERWISE SUCH CAUSE OF ACTION OR CLAIM IS PERMANENTLY BARRED. Indemnification. You agree to indemnify, defend, and hold harmless Airstream and its officers, directors, employees, agents, affiliates, successors, and assigns from and against any and all losses, damages, liabilities, deficiencies, claims, actions, judgments, settlements, interest, awards, penalties, fines, costs, or expenses of whatever kind, including reasonable attorneys’ fees, arising from or relating to your use or misuse of the Services or your breach of this Agreement, including but not limited to the content you submit or make available through this Services. Disclosure. The Services are provided and operated by Airstream, Inc. 419 West Pike Street, Jackson Center, Ohio 45335-0629. You may obtain a copy of these Terms and Conditions at http://www.airstream.com/Legal-Notice. Governing Law and Venue. These Terms shall be governed by and construed under the laws of the State of Ohio. You and Airstream submit to the jurisdiction of the State courts of Shelby County, Ohio and the United States District Court for the Southern District of Ohio, Dayton Division in the event of any dispute arising out of the terms of these Terms and/or any breach thereof. No Waiver. Any failure by Airstream to enforce any provision of these Terms shall not be a waiver of Airstream’s rights therein. Third Party Terms. You must comply with applicable third party terms of agreement when using the Services. Assignment. Airstream may freely transfer this agreement. You may not assign, sublicense, or transfer any part of this agreement without Airstream’s written consent. These Terms shall be binding upon and inure to the benefit of the parties and their respective successors and assigns. Survival. Any rights or obligations of the parties in these Terms which, by their nature, should survive termination or expiration of these Terms will survive any such termination or expiration. Copyright and Trademarks. Copyright (c) 2018 Airstream, Inc. All rights reserved. All trademarks, logos, trade dress, and service marks (“Marks”) displayed on or in connection with the Products and Services are the property of Airstream or their respective holders. You are not permitted to use any of the Marks without the prior written consent of Airstream or such respective holders. Airstream reserves the right to alter product and services offerings, specifications, and pricing at any time and without notice, and is not responsible for typographical or graphical errors that may appear in these Terms or in related documents. PLEASE DO NOT CONTACT CUSTOMER SERVICE OR ANY CUSTOMER CARE AND SUPPORT OFFERED BY AIRSTREAM WITH ANY EMERGENCY. IF YOU HAVE ANY SUCH EMERGENCY, YOU SHOULD IMMEDIATELY CONTACT THE POLICE, FIRE DEPARTMENT, 911 OR APPROPRIATE EMERGENCY RESPONSE SERVICE. Acknowledgement. These Terms are between you and Airstream only and not with any Service Provider. With respect to the Mobile App, Airstream, and not Apple or any other app store provider, is solely responsible for the content thereof. Maintenance and Support. No app store host (including Apple) will be responsible for providing maintenance or support services with respect to the Services. Warranty. In the event of any failure of the Mobile App downloaded from the Apple App Store to conform to any applicable warranty, the end-user may notify Apple, and Apple will refund the purchase price to you (if any) and to the maximum extent permitted by applicable law, Apple will have no other warranty obligation whatsoever with respect to the Mobile App, and, with respect to the Mobile App, any other claims, losses, liabilities, damages, costs, or expenses attributable to any failure to confirm to any warranty will be Airstream’s responsibility. Product Claims. You and Airstream acknowledge that, as between Apple and Airstream, Airstream not Apple, is responsible for addressing any claims of the end-user or any third party relating to the Mobile App or your possession and/or use of the Mobile App, including, but not limited to: (i) product liability claims; (ii) any claim that the Mobile App fails to conform to any applicable legal or regulatory requirement; and (iii) claims arising under consumer protection or similar legislation. Intellectual Property Rights. In the event of a third party claim that the Mobile App or your possession and use of that Mobile App infringes upon that third party’s Intellectual Property rights, Airstream, not Apple, will be responsible for the investigation, defense, settlement, and discharge of any such Intellectual Property claim. Third Party Beneficiary. Airstream and you acknowledge and agree that Apple, and Apple’s subsidiaries, are third party beneficiaries of these Terms, and that, upon your acceptance of these Terms, Apple will have the right (and will be deemed to have accepted the right) to enforce these Terms against you as a third party beneficiary hereof. 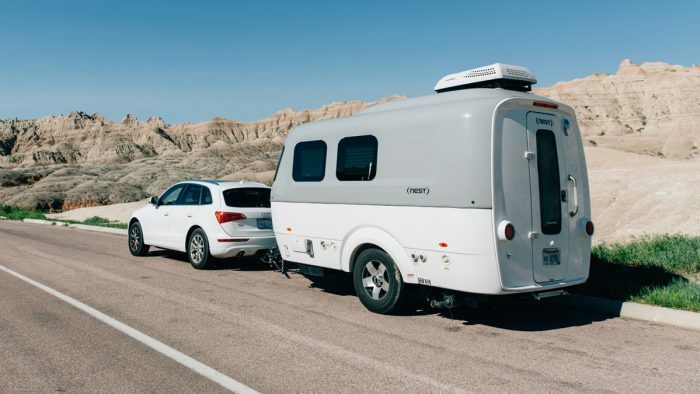 The Airstream Connected RV and Smart RV systems include components from the following open source projects. Djinni – Copyright © 2018 Dropbox, Inc.
Moquette MQTT –Copyright (c) 2011-2017 Pivotal Software Inc., All Rights Reserved. Licensed under the . View the terms here. Eclipse Paho – Copyright © 2011 Eclipse Foundation, Inc. Licensed under the GNU General Public License, Version 3. View the terms here. – Copyright © 2018 Oracle Corporation and/or its affiliates. A non-modified version of the application is included in the system components. You may download the source code and binaries by clicking the names above. The Airstream Smart RV Mobile App software includes components subject to the following open source projects. Firebase-ios-sdk – Copyright © 2018 Google, Inc.
Lottie-ios – Copyright © 2018 Airbnb, Inc.
libPhoneNumber-iOS –Copyright (c) 2015 ohtalk.me. All rights reserved. Realm-cocoa –Copyright © 2011-2017 Realm, Inc. All rights reserved. Licensed under the Eclipse Public License Version 1.0. View the terms here. Calabash-ios – Copyright © 2012 Karl Krukow. All rights reserved. Licensed under the MIT License. View the terms here. CleanroomLogger – Copyright © 2009-2015 Gilt Groupe, Inc.
HockeySDK-iOS – Copyright © Microsoft Corporation. All rights reserved. The App is operated by Airstream, Inc., a Nevada corporation with an office at 419 West Pike Street, P.O. Box 629, Jackson Center, OH 46334-0629 (and we refer to ourselves as “we”, “us” or “our”). We own and operate the App on our own behalf. The App may be used in connection with an AT&T Wi-Fi hotspot via installed the aftermarket Airstream Connected Kit™ hardware (the “Hardware) (collectively, the App and the Hardware shall be referred to herein as the “Services”). Your use of and access to the AT&T wireless network is subject to additional fees/charges and the AT&T Wireless Customer Agreement which is available at https://www.att.com/legal/terms.wirelessCustomerAgreement-list.html. The Services are intended for use and installation only in association with Airstream® travel trailer and touring coach products (the “Products” or “RVs”). In order to access and use the Services, you must create and maintain a registered account with Airstream (“Account”) associated with your RV. You represent and warrant that: (a) all of the information you provide in connection with your registration is true and accurate; (b) you will maintain the accuracy of such information; and (c) your use of the Services will not violate any applicable law or regulation. Airstream, in its sole discretion and without notice, may terminate, restrict, or modify your Account at any time. Access, use, and control of certain Services and features require you to pair your supported device with the Hardware. You may pair or unpair your device at any time by using the App when logged in to your Account. You may contact Airstream Customer Service for assistance. Although you may pair more than one device with the Hardware, all devices used in connection with the installed Hardware may only be associated with one Account as only one Account may be associated with your Hardware at any time. Note: you will not be able to use certain Services and features if your device is not paired. In the event you no longer possess or own your RV, as a result of sale, loss, theft, or otherwise (a “Vehicle Disposal Event”), you must either: (a) remove the Hardware from your RV; or (b) unpair your device from the Hardware, request Airstream Customer Service to remove the Hardware and associated RV from your Account. The Hardware must be installed by trained technicians. You should only have the Hardware repaired or serviced by trained technicians approved by Airstream. Any attempt to modify, repair, add equipment to, or remove the Hardware may impair the Services and may void any warranty or warranties associated with the Hardware and/or its components. k. not to collect or harvest any information or data from the App or our systems or attempt to decipher any transmissions to or from the servers running the App, including, without limitation, by using any robot, spider, site search/retrieval application or other manual or automatic device to retrieve, index, "scrape," "data mine" or in any way gather the App content or reproduce or circumvent the navigational structure or presentation of the App without our prior written consent. d. any equipment or network or software owned or used by any third party. You agree to comply at all times with any instructions for use of the App we make available to you from time to time. We may occasionally need to carry out repairs, maintenance, or introduce new facilities and functions. We reserve the right, temporarily or permanently, in whole or in part, to modify, suspend, or discontinue the App without notice for any reason without liability to you, except where prohibited by applicable law. In addition, you acknowledge that the Services are provided over the Internet and mobile networks and so the quality and availability of the Services may be affected by factors outside our reasonable control. Accordingly, we do not accept any responsibility for any connectivity issues that you may experience when using the App or other Services. In addition, you acknowledge and agree that you (and not us) are responsible for obtaining and maintaining all telecommunications, broadband, and computer hardware, equipment and services needed to access and use the Services, and for paying any data charges that may be charged to you by your network provider in connection with your use of the Services (including data transmitted to or transmitted from Airstream automatically when your Hardware is connected to the Internet or when your Services are otherwise active). LIMITATION OF LIABILITY AND TIME TO FILE CLAIMS TO THE FULLEST EXTENT PERMITTED BY APPLICABLE LAW, IN NO EVENT WILL AIRSTREAM, ITS PARENT COMPANY, OR ITS AFFILIATES, OR ANY OF THEIR RESPECTIVE LICENSORS OR SERVICE PROVIDERS, HAVE ANY LIABILITY ARISING FROM OR RELATED TO YOUR USE OF OR INABILITY TO USE THE SERVICES OR THE CONTENT AND SERVICES FOR: (a) PERSONAL INJURY, PROPERTY DAMAGE, LOST PROFITS, COST OF SUBSTITUTE GOODS OR SERVICES, LOSS OF DATA, LOSS OF GOODWILL, BUSINESS INTERRUPTION, COMPUTER FAILURE OR MALFUNCTION, OR ANY OTHER CONSEQUENTIAL, INCIDENTAL, INDIRECT, EXEMPLARY, SPECIAL, OR PUNITIVE DAMAGES, OR (b) DIRECT DAMAGES IN AMOUNTS THAT IN THE AGGREGATE EXCEED THE AMOUNT ACTUALLY PAID BY YOU FOR THE SERVICES. THE FOREGOING LIMITATIONS WILL APPLY WHETHER SUCH DAMAGES ARISE OUT OF BREACH OF CONTRACT, TORT (INCLUDING NEGLIGENCE), OR OTHERWISE AND REGARDLESS OF WHETHER SUCH DAMAGES WERE FORESEEABLE OR AIRSTREAM WAS ADVISED OF THE POSSIBILITY OF SUCH DAMAGES. SOME JURISDICTIONS DO NOT ALLOW CERTAIN LIMITATIONS OF LIABILITY SO SOME OR ALL OF THE ABOVE LIMITATIONS OF LIABILITY MAY NOT APPLY TO YOU. ANY CAUSE OF ACTION OR CLAIM YOU MAY HAVE ARISING OUT OF OR RELATING TO THESE TERMS OR THE SERVICES MUST BE COMMENCED WITHIN ONE (1) YEAR AFTER THE CAUSE OF ACTION ACCRUES OTHERWISE SUCH CAUSE OF ACTION OR CLAIM IS PERMANENTLY BARRED. DISCLAIMERS. THE SERVICES ARE PROVIDED TO YOU “AS IS” AND WITH ALL FAULTS AND DEFECTS WITHOUT WARRANTY OF ANY KIND EXCEPT AS MAY BE PROVIDED BY THE LIMITED WARRANTY ACCOMPANYING YOUR RV AND/OR THE HARDWARE. TO THE MAXIMUM EXTENT PERMITTED UNDER APPLICABLE LAW, AIRSTREAM, ON ITS OWN BEHALF AND ON BEHALF OF ITS PARENT COMPANY AND AFFILIATES AND THEIR RESPECTIVE LICENSORS AND SERVICE PROVIDERS, EXPRESSLY DISCLAIMS ALL WARRANTIES, WHETHER EXPRESS, IMPLIED, STATUTORY, OR OTHERWISE, WITH RESPECT TO THE SERVICES, INCLUDING ALL IMPLIED WARRANTIES OF MERCHANTABILITY, FITNESS FOR A PARTICULAR PURPOSE, TITLE, AND NON-INFRINGEMENT, AND WARRANTIES THAT MAY ARISE OUT OF COURSE OF DEALING, COURSE OF PERFORMANCE, USAGE, OR TRADE PRACTICE. WITHOUT LIMITATION TO THE FOREGOING, AIRSTREAM PROVIDES NO WARRANTY OR UNDERTAKING, AND MAKES NO REPRESENTATION OF ANY KIND THAT THE SERVICES WILL MEET YOUR REQUIREMENTS, ACHIEVE ANY INTENDED RESULTS, BE COMPATIBLE, OR WORK WITH ANY OTHER SOFTWARE, APPLICATIONS, SYSTEMS, OR SERVICES, OPERATE WITHOUT INTERRUPTION, MEET ANY PERFORMANCE OR RELIABILITY STANDARDS, OR BE ERROR-FREE, OR THAT ANY ERRORS OR DEFECTS CAN OR WILL BE CORRECTED. SOME JURISDICTIONS DO NOT ALLOW THE EXCLUSION OF OR LIMITATIONS ON IMPLIED WARRANTIES OR THE LIMITATIONS ON THE APPLICABLE STATUTORY RIGHTS OF A CONSUMER, SO SOME OR ALL OF THE ABOVE EXCLUSIONS AND LIMITATIONS MAY NOT APPLY TO YOU. You are solely responsible for all activity occurring under your Account and for any use of the Services, even if you are not the one using the Services, and even if the use is unauthorized. You are also solely responsible for the Services requested by you, or by anyone using your RV in connection with the Services. The Services are not intended to be used when driving or towing the RV. Do not use the Services while driving as such use may distract your attention from the road and may result in serious injury to you or others. You must read all manuals, instructions and safety information (“Instructions”) provided with your RV and the Services before using the Services. Failure to follow Instructions may lead to accidents, damage, or injury to you, others, or your RV. You also agree to provide the Instructions to each person who will use the Services prior to his or her first use. Additional copies of applicable Instructions may be obtained at www.Airstream.com or by contacting Airstream Customer Service. You agree to use the Services in compliance with all applicable laws, regulations, and ordinances. You agree you will not abuse or do anything to damage Airstream’s business operations, services, reputation, employees, or facilities. You agree to indemnify, defend, and hold harmless Airstream, its parent company, and its affiliates, and their respective officers, directors, employees, agents, affiliates, successors, and assigns from and against any and all losses, damages, liabilities, deficiencies, claims, actions, judgments, settlements, interest, awards, penalties, fines, costs, or expenses of whatever kind, including reasonable attorneys’ fees, arising from or relating to your use or misuse of the Services or your breach of this Agreement, including but not limited to the content you submit or make available through this Services. We are the sole and exclusive owner or the licensee of all intellectual property rights in the Services, and in the material published on it. Those works are protected by copyright and trademark laws and treaties around the world. All such rights are reserved. Copyright (c) 2018 Airstream, Inc. All rights reserved. All trademarks (including AIRSTREAM®, AIRSTREAM CONNECTED™ and AIRSTREAM CONNECTED KIT™), logos, trade dress, and service marks (“Marks”) displayed on or in connection with the Products and Services are the property of Airstream or their respective holders. You are not permitted to use any of the Marks without the prior written consent of Airstream or such respective holders. Airstream reserves the right to alter product and services offerings, specifications, and pricing at any time and without notice, and is not responsible for typographical or graphical errors that may appear in these Terms or in related documents. The Services may display, include, or make available third-party content or provide links to third-party websites or services, including through third-party advertising (“Third Party Materials”). Third Party Materials and links thereto are provided solely as a convenience to you, and you access and use them entirely at your own risk and subject to such third parties’ terms and conditions. You acknowledge and agree that Airstream is not responsible for Third Party Materials. Airstream does not assume and will not have any liability or responsibility to you or any other person or entity for any Third Party Materials. These Terms are effective upon your downloading the App, creating an Account, and/or any access or use of the Services and continue for as long as you maintain an Account, use or access the Services, and/or retain a copy of the App, unless sooner terminated as provided herein. We may terminate these Terms, your Account, and/or your access to the Services at any time, without notice. Upon termination: (i) all rights granted to you under these Terms will also terminate; and (ii) you must cease all use of the Services and delete all copies of the App from your mobile device(s). Termination will not limit any of Airstream’s rights or remedies at law or in equity. Airstream may freely transfer this agreement. You may not assign, sublicense, or transfer any part of this agreement without Airstream’s written consent. These Terms shall be binding upon and inure to the benefit of the parties and their respective successors and assigns. These Terms shall be governed by and construed under the laws of the State of Ohio. You and Airstream submit to the jurisdiction of the State courts of Shelby County, Ohio and the United States District Court for the Southern District of Ohio, Dayton Division in the event of any dispute arising out of the terms of these Terms and/or any breach thereof. PLEASE DO NOT CONTACT CUSTOMER SERVICE OR ANY CUSTOMER CARE AND SUPPORT OFFERED BY AIRSTREAM WITH ANY EMERGENCY. IF YOU HAVE ANY SUCH EMERGENCY, YOU SHOULD IMMEDIATELY CONTACT THE POLICE, FIRE DEPARTMENT, 911, OR APPROPRIATE EMERGENCY RESPONSE SERVICE. Participation in this program is limited to eligible U.S. Military Personnel, Veterans, and Retirees (or spouses) and eligible First Responder personnel who purchase an eligible, new, untitled Airstream travel trailer or touring coach from a participating, authorized Airstream dealer between August 1, 2018 and December 31, 2019. Offer only applies to sales of eligible new product from dealer stock by a participating authorized Airstream dealer to an eligible retail customer from August 1, 2018 through December 31, 2019. The customer must take new retail delivery from dealer stock by December 31, 2019. Limit one (1) per customer. This offer is not transferable. This offer is not valid where prohibited or taxed. Supply may be limited, and this offer is subject to change or cancellation without notice. Airstream will not assume any responsibility for lost, incomplete, or illegible certificate requests or for misdirected mail. U.S. Active Military Personnel (members of the Army, Navy, Air Force, Marines, Coast Guard, Reservists Serving on Active Duty, and members of the Delayed Entry/Enlistment Program), including spouses and surviving spouses of same. U.S. Military Retirees (a member or former member of any U.S. uniformed service who is retired or entitled to retire per status), including spouses and surviving spouses of same. U.S. Military Veterans (a person who served in the U.S. Military and was discharged or released under conditions other than dishonorable). National Guard (serving under a branch of a U.S. military service). Eligibility is subject to verification by SheerID. Airstream may determine eligibility in its sole discretion, and its determination shall be final. Active Ready Reservists, Selected Reservists, Inactive Ready Reservists, Standby Reservists, and members of state defense forces operating under the sole authority of a state government are not eligible, unless another basis of eligibility is satisfied (e.g., Military Retiree, Veteran, etc.). Eligible participants must visit airstream.com/salute and follow the link for verification by SheerID. Each participant must submit the information requested by Sheer ID. Contact Sheer ID Customer Service ([email protected]) Once verified, Airstream will provide Participant with a certificate reflecting Participant’s eligibility. To claim the discount, a Participant must present the certificate, along with his/or her driver’s license, to a participating Airstream dealer. Click here to download the Airstream Salute Rebate Form.